You’ll save up to 90% on a hair transplant compared to UK doctors and get the same high quality. Baldness and hair loss (also called alopecia) is no longer inevitable. Hair loss can be effectively treated by the implantation of hair on the areas where hair growth is needed. Micro hair transplantation (also called a hair implant, capillary transplant or indeed capillary surgery) is a great solution to hair loss. 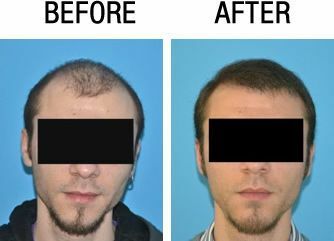 It is performed under local anesthetic and is a definitive and permanent treatment for baldness in both men and in women. Novacorpus offers you the possibility of a hair transplant at a much lower price than in the UK, but without compromising on quality. Indeed, the surgeon, who operated in France for 17 years, is very experienced and perfectly meets our selection criteria. In addition, you can take out insurance covering all postoperative complications (very rare with this surgery) for 6 months. Postoperative follow-up is carried out in a very conscientious manner. 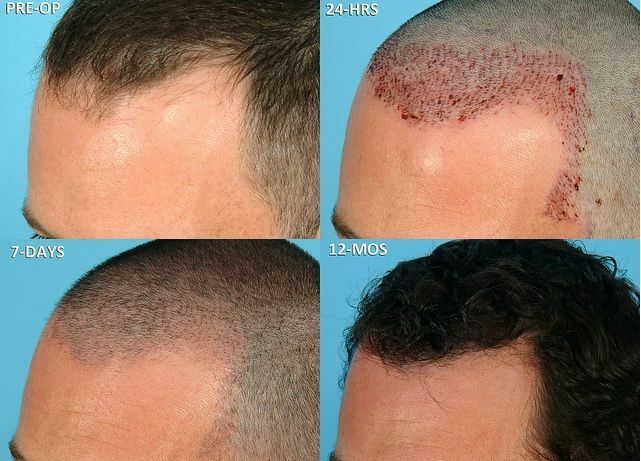 Why choose Novacorpus for Hair Implants? Save up to 90% compared to hair transplant costs in the UK with our guaranteed price. Access world-class quality accredited clinics and latest medical technology. There are 2 very different methods, which do not give the same results. It is very important to find out which method will be used before you have the surgery. We only recommend FUE (and not FUT). Individual, miniaturized extraction of follicles containing 1-3 hairs from your own scalp (e.g. the crown at the back of the head), leaving no scar. These follicles are individually relocated to the area where hair growth is desired. This method is the most recent and gives the best results, with many advantages: no scarring, simpler postoperative follow-up, almost no bleeding. Only a very experienced surgeon, carrying out this surgery frequently and surrounded by a team of experts in this field, may use this method. Certain surgeons who are not concerned about prioritizing the patient’s interests perceive this method as inefficient and only use the FUT method (see below), which is faster but less cosmetically pleasing and more risky. 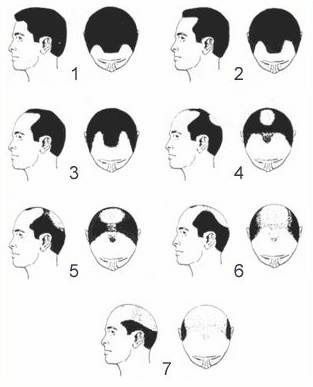 We usually only recommend the FUE method. The maximum regrowth is after 1 year. This older technique consists of taking a large band of hair from the back of the head. The area from which the hair is taken must be closed up again using stitches (this leaves a long scar from one ear to the other) and there is a risk of damaging the blood vessels in the scalp or the hair follicles within. The follicles are then isolated and relocated. This method has a higher risk of bleeding. The only real advantage is that it is faster. We do not recommend this, apart from a few rare exceptions, and it is not the method of choice if you do not live close to the surgeon, due to its greater risks compared to FUE. The price depends on the size of the area of ​​baldness. Prices are in Pounds and include consultations with the surgeon, the intervention, hospital fees, medication and post-operative check-ups abroad as well as transfers in Istanbul. A personalised quote will be drawn up for each patient. Travel and hotel costs will be less than 10% of the treatment price. No, as long as you follow certain rules. We are very strict in selecting our foreign partners as we want to be sure that we can place our complete trust in the doctor with whom we are going to work. We also insist on the fact that you must follow to the letter all instructions which the doctor will give you on site (above all these will be recommendations linked to common sense, for example, rest after the operation). There are no more risks when being treated abroad than there are in your own country. As in all areas, it is impossible to eliminate risks 100%, however the risk of treatment abroad is no higher than in your own country. Moreover, we only work with practitioners and clinics who offer a guarantee. The duration of this guarantee varies (1 year to lifelong) and restrictions may be mentioned by the doctor or clinic (for example: exclusion of the consequences of an accident, a systemic illness, lack of hygiene, etc.) This guarantee nevertheless requires another trip abroad. In the event of an emergency, you may have to consult another practitioner closer to home. If you have not taken out insurance and NHS refuses to cover you, you may have to bear at least part of these costs. You will indeed make large savings through going abroad to be treated. The reason is never a lack of quality. It is because of lower local costs and negotiated prices. Learn more here. Nevertheless, we also recommend that good quality treatment should be your priority and that you should carefully seek advice before leaving as regards the doctor and clinic you choose. Of course, indeed we would recommend this. Going for treatment abroad is much more pleasant in good company. The slight increase in cost associated with being accompanied (train or plane fare and hotel) is largely compensated for by the benefits of having someone with you. See our chapter on practical advice to find out more. Do you guarantee the price before I travel? Yes. To get your guaranteed pricing for your surgery, simply contact us with the form on the right. We’ll answer all your questions, confirm by a medical doctor that this surgery is right for you and give you your guaranteed pricing before you make any commitment. For more answers, please see our full Cosmetic Surgery FAQs page or contact us with the form on the right and we’ll be happy to answer your questions.